As summer starts to fade and fall and winter are on the horizon, it's hard to picture our tans fading and the temperatures dropping. Personally, nothing makes me feel more energized than sunshine and summer has definitely been good to my skin. As the warmest season fades away, there are ways that you can keep your summery glow way past Labor Day. 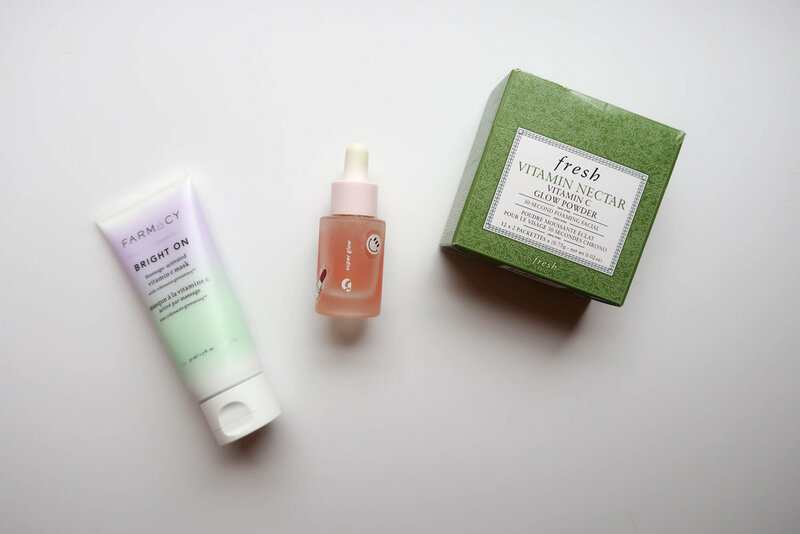 Here are three products I've been using lately that are high in vitamin C that will not only give your skin some nutrients but will also keep it looking great too. This foaming facial is here to revive your skin. It’s a powder-to-foam treatment that contains 20% Vitamin C and when applied will refine texture and reduce the look of pores. Pour the powder onto your hands, add a teaspoon of water, and mix until blended, and massage it into your skin for up to 30 seconds for a luxurious-feeling, revitalizing treatment. If you know me, you know I love a good clay mask, and this one from Farmacy is no exception. This mask will brighten and detox skin by removing buildup and impurities. Apply this product all over clean skin until you see the color change (it comes out purple and turns to more of a super light blue) and leave it on for 5-10 minutes. When you wash it off, your skin will be thanking you. It wouldn’t be a beauty post on Keep Calm and Chiffon without a Glossier product, now would it? This isn’t a new release and it also isn’t something I use super consistently in my beauty routine but it’s a product I come back to again and again whenever my skin needs a refresh. This serum brightens and energizes tired skin—either apply a few drops to your fingers or directly on the skin and massage until its fully absorbed by your skin and follow with your moisturizer of choice. 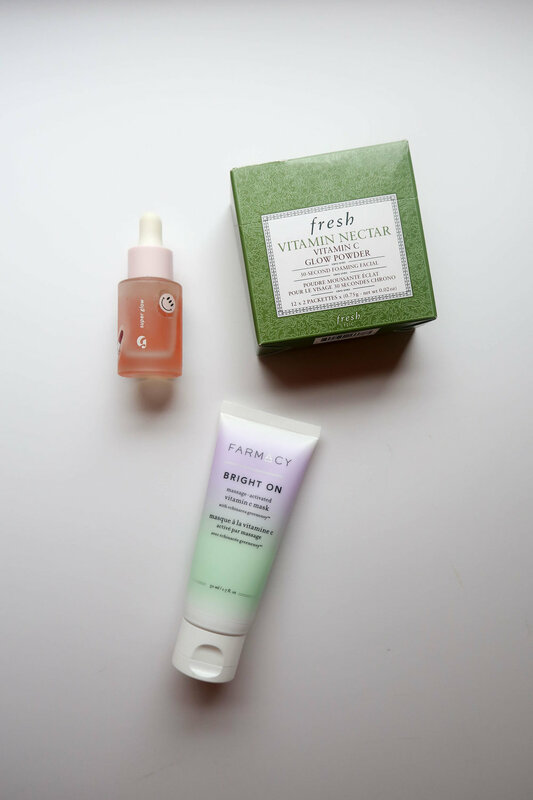 Have you tried any vitamin C skincare products? Let me know which ones in the comments!